PCO Association, President Barry Neame is proud to announce seven of the eight Featured Speakers for the 11th Annual PCOA Conference and Exhibition being held at the Melbourne Convention and Exhibition Centre between 9 and 11 December 2018. Neame said, “the Speakers announced today feature a diverse group of impressive achievers who will address many of the uncertainties conferences and meeting planners are learning to live with”. 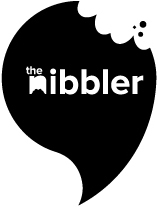 Meanwhile, the Nibbler editor has announced a trip to the pub across the road. With speakers from the likes of Google, Best Western, Expedia, HotelsCombined, Skyscanner and BIG4 Holiday Parks, you’re not gonna want to miss this one. Registrations for this year’s PCOA Conference are now open! This year, the business events conference will focus on agility and mental health. Get in quick, folks! You won’t want to miss this one.